During his term of office, President Andrew Jackson sometimes used Fort Wool as a private retreat. Jackson enjoyed the quiet and isolation of the Rip Raps. For Jackson, Fort Wool essentially served the same role that Camp David has for his twentieth-century successors. In the summer of 1835, while Jackson was ensconced at the Rip Raps, he received a petition from Joseph T. Allyn, the "Chairman of the Committee of Charity and Vagrants” for the Borough of Norfolk. Allyn asked for permission to occupy Fort Norfolk as a "Poor House and Work House." Allyn also wished to use the fort as a public quarantine explaining that "our Health Officer also is Physician to our Poor House." 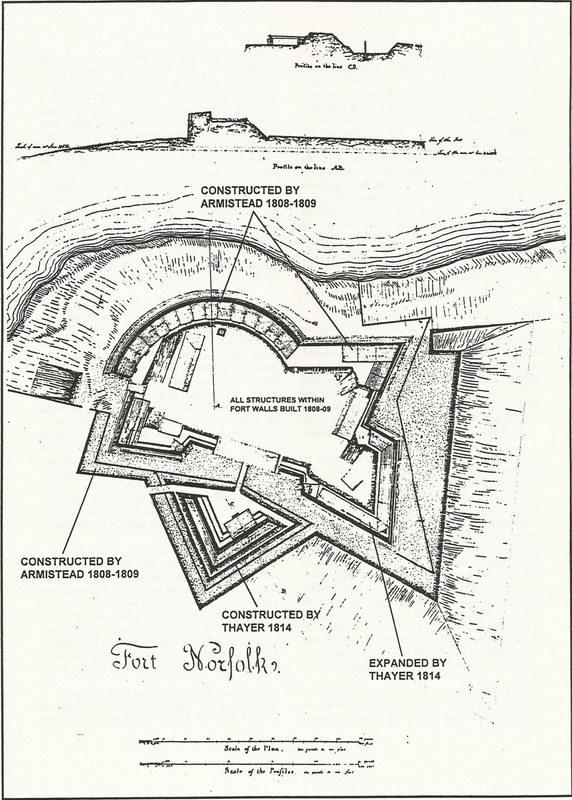 Allyn cited the "healthful" and beneficial "frontier situation" of the fort and emphasized Norfolk's willingness to make "repairs and improvements to the buildings" that would render them "more adaptable to our purpose." He closed his otherwise unctuous petition with the barbed observation that the federal transfer of the fort to the municipal authority would not be an altogether undeserved favor. "We beg leave to remark," Allyn concluded, "that the Public Service which confers on us so many benefits not infrequently adds something to the burthens of our borough by the lecherys of soldiers and sailors who have been discharged and are in all such cases provided for as indigent poor." Jackson initialed the letter and referred it to the Secretary of War. It is not certain if the Jackson administration acceded to Allyn's request, but later military correspondence indicates that the City of Norfolk was using the fort as a lazaretto in the late 1840s (OQMG Allyn to Jackson, July 22, 1835).